Include Braille Rules on How to Play Poker for $5.00? Deck includes 54 premium-plastic playing cards. 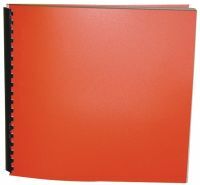 Cards sport Braille on two corners, and full-color printing. Deck comes packed in a hard-Plastic case. Measures about 4 in by 3 in by 1 in. Package Weight: about 5.3 ounces. If you'd like to get a durable deck of cards that'll last practically forever, here they are! 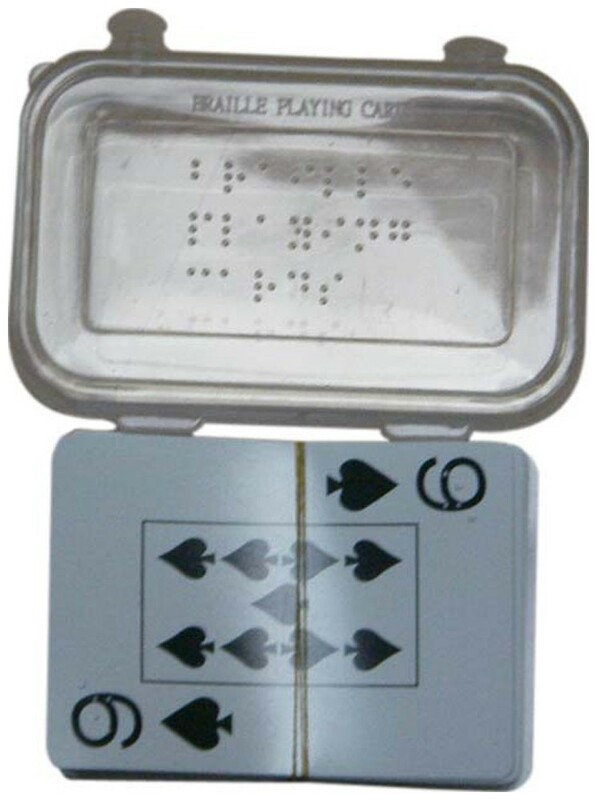 A cut above our regular Braille playing cards, these ones still have the large print and Braille on them. But all the cards in this deck are made of 100% plastic, so you can literally dump them all into a sink of water and wash them clean. Why, you could even play a game of cards in the swimming pool (holding cards under water and all) and the cards will survive perfectly! 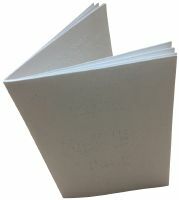 What's more, the Braille on each of our plastic cards is guaranteed to stay nice and sharp after endless use - something that makes them a particular favorite for kids and anyone who's learning Braille. 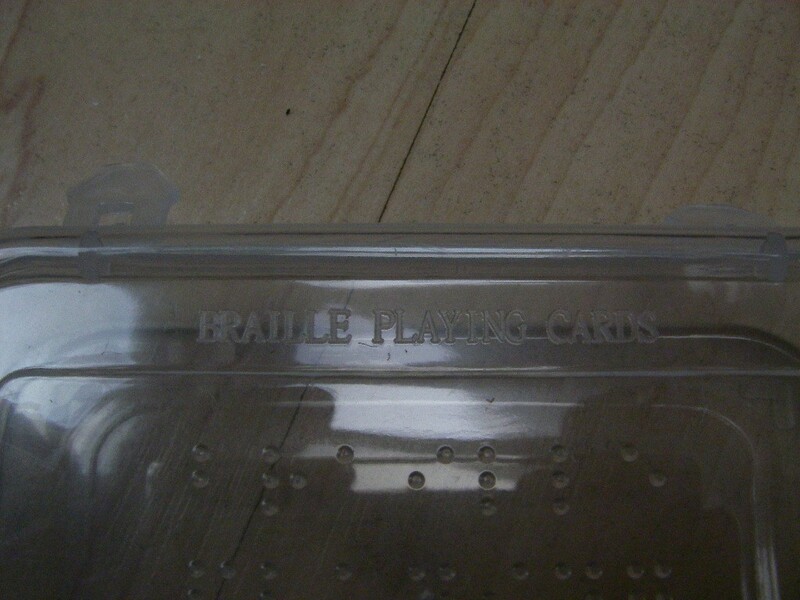 Lastly, this deck of plastic cards comes in the same sort of sturdy, snap-shut plastic storage container that our Regular Braille Playing Cards do, except the storage case is even nicer - with the words Braille Playing Cards embossed in raised print and Braille on the lid. Poker is played throughout the world, but it is probably still most popular in its country of origin, the USA. This is a popular game played in casinos, used for gambling on large sums of money. There are literally dozens of popular variations to Poker, and hefty volumes dedicated to every form and variation possible or imaginable. Here, we will give you the basic idea behind Poker. Because there are so many variations, it would be difficult to spell out specific rules, for they would be easily contradicted by another equally-popular form of the game. For a home game, however, we trust you will find these rules satisfactory. Most variants of poker satisfy the following definition, but in a home game of course you are free to modify the rules as you see fit. *Check. If there is no wager on the current betting round, a player may check. The act of checking passes the action to the next player. A check does not forfeit interest in the pot, only the current right to bet. If all players check during a round of betting, the round is considered complete. *Bet. If there is no wager on the current betting round, a player may bet. If a player bets, the next player (and any subsequent players) may fold, raise, or call. *Fold. The act of folding forfeits all interest in the pot. A player who folds is not required or allowed to wager any further money for the current poker game. *Call. If there has been a wager on the current round of poker play, a player may call. The act of calling requires the player to match the current bet made by his or her opponent(s). *Raise. If there has been a wager on the current betting round, a player may raise. The act of raising requires the next player to match the current bet, and make a greater one. All subsequent players are required to call the raise or raise again ("re-raise") to maintain interest in the pot. On each betting round, betting continues in a circle until the person next to the last bettor or raiser acts. When this person acts, the next poker round begins, or the hand is complete. Different poker games have various numbers of betting rounds interspersed with the receipt or replacement of cards. When the last bet or raise on the final betting round is called, the "showdown" occurs. This is when it is determined who wins the pot, as players show their hands one-by-one. It may be the case that there is no showdown. This occurs when a player bets or raises, and no active players choose to call the player's bet (in other words, all players fold). In this case, the player who initiated the last bet or raise wins the full amount of the pot. Let's say you are playing a game of Poker against 3 other players. A beginner's game would begin by selecting a dealer, and having him hand out a set number of cards. Imagine you are to the left of the dealer. You might cast the first bet in the pot. You may wish to cast a larger or smaller bet depending on how good your cards are. Play continues clockwise, with each player taking one of the actions described above. You may wish to have the dealer pass out additional cards at some previously-agreed upon point in the game. Once all bets have been checked, the players still left in the game should add up their hands and determine a winner based on the strongest hand. You might consider using chips instead of money, to make a home game more friendly. Give each player a set number of chips, and cast bids using the chips. At the end of 3 games, the player who holds the most chips is the champion. Poker is usually played with a standard 4-suit, 52-card deck, but a joker or other wild cards may be added. The ace normally plays high, but can sometimes play low, as explained below. At the showdown, those players still remaining compare their hands according to the following rankings, listed here from best to worst. *Royal Flush, Ace, King, Queen, Jack and Ten of the same suit. *Straight Flush, five cards of the same suit in sequence, such as 7-6-5-4-3 of hearts. Ranked by the top card, so that K-Q-J-T-9 is the best straight flush. The ace can play low to make 5-4-3-2-A, the lowest straight flush. *Four of a kind, four cards of the same rank accompanied by a "kicker", like 4-4-4-4-2. Ranked by the quads, so that 4-4-4-4-2 beats 3-3-3-3-K, and then ranked by the side card, so that 4-4-4-4-A beats 4-4-4-4-K.
*Full house, three cards of one rank accompanied by two of another, such as 7-7-7-J-J. Ranked by the trips, so that 4-4-4-2-2 beats 3-3-3-A-A, and then ranked by the pair, so that 4-4-4-A-A beats 4-4-4-K-K.
*Flush, five cards of the same suit, such as A-J-9-4-2 of hearts. Ranked by the top card, and then by the next card, and so on for all five cards, so that A-J-9-4-2 beats A-J-8-7-6. Suits are not used to break ties. 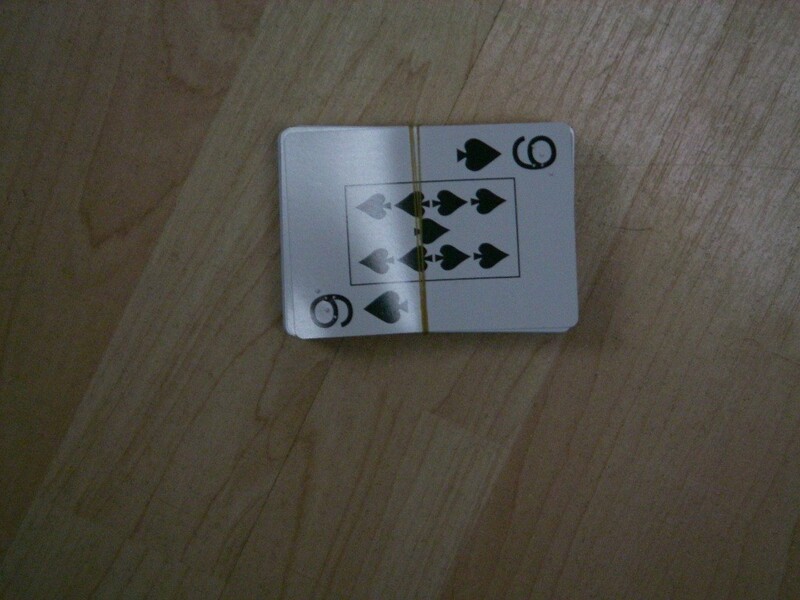 *Straight, five cards in sequence, such as 7-6-5-4-3. The ace plays either high or low, making A-K-Q-J-T and 5-4-3-2-A. "Around the corner" straights like 3-2-A-K-Q are usually not allowed. *Two pair, two cards of one rank, two cards of another rank and a kicker of a third rank, such as K-K-4-4-9. Ranked by the top pair, then the bottom pair and finally the kicker, so that K-K-4-4-9 beats Q-Q-J-J-A, K-K-2-2-Q, and K-K-4-4-5. Note that such match-ups are only possible in games where there are wild cards or where community cards are shared. *High card, any hand that does not qualify as one of the better hands above, such as K-J-5-4-2 of mixed suits. Ranked by the top card, then the second card and so on for all five cards, as for flushes. Several variations are possible when playing for low. Some games permit the ace to play low and ignore straights and flushes, making 5-4-3-2-A the best possible low, even if it makes a straight flush. Other games just reverse the order used for high hands, making 7-5-4-3-2 of mixed suits the best possible low. Still others count straights and flushes against you but let the ace play low, making 6-4-3-2-A best. Note that in most games in which the ace plays low, a pair of aces is lower than a pair of deuces, just as an ace is lower than a deuce. When a joker is in play, it usually can only be used as an ace or to complete a straight or flush. It cannot be used as a true wild card, for example, as a queen to make Q-Q-4-3-X play as three queens. When playing for low, the joker becomes the lowest rank not already held, so 8-6-4-A-X is played as 8-6-4-2-A, with the joker used as a deuce. Although true wild cards are rarely seen in a casino, they are a popular way to add excitement to a home game. Wild cards introduce an additional hand, five of a kind, which normally ranks above a straight flush. They can also cause confusion when two players hold the same hand composed of different wild card combinations. The standard rules of poker do not distinguish between such hands, but some players prefer to rank hands using fewer wild cards above less "natural" versions of the same hand.